a heavy work your way true whisky. lots of meat and spices. black berry, cloves, metal shop. Compared this one to cask BA1/2008. This one appears much more mature, with a much better balance. 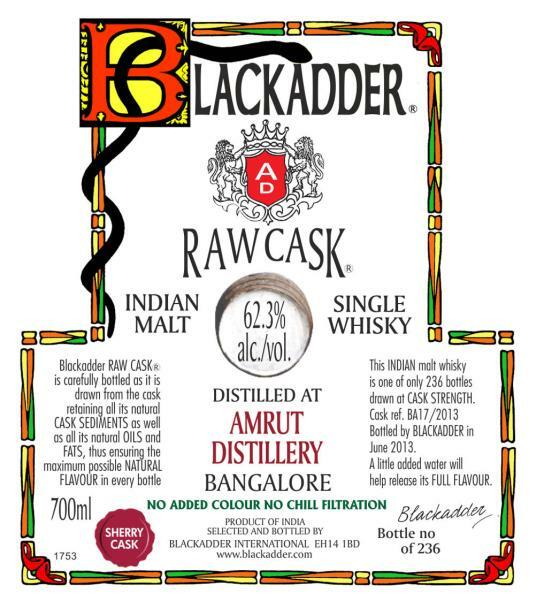 It doesn't have that raw maltiness which is dominant in that one and many other Amruts. Raisin, dried fig, cherry, chocolate and peat. 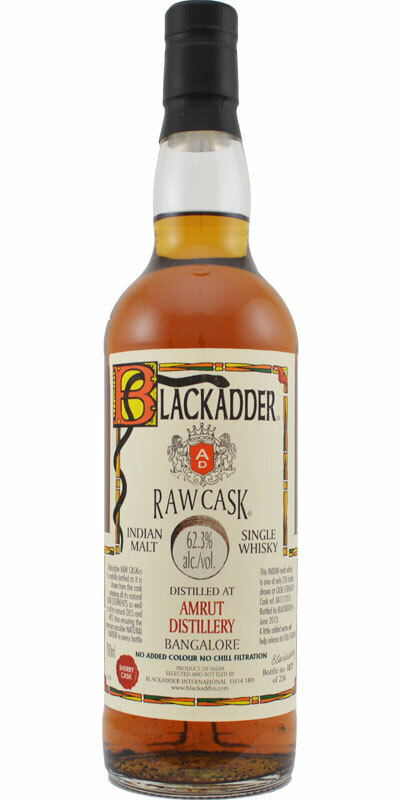 Raisin, dried fig, prune, caramel, peat and spice. Although this is probably quite young (we don’t know of course as the age remains mysterious), the (quality) sherry cask has already given a great depth to the spirit.